The main and hall closed for alterations. Meetings to be held in the young peoples hall. At last work commenced in earnest on the main hall. Opening of the main hall by the Mayoress Mrs Harrison. Present Colonel Fred Hammond from London. Major Garnet architect. Senior Major and Mrs Grieg (Divisional Commander). Major Kimberley (former commanding officer) who raised almost all of the money for the purchase of the hall. A wonderful weekend resulting in two souls at the mercy seat. Praise God from whom all blessings flow. There is no indication in the history book of the course of the problems resulting in the delay and why it took two years to complete the alterations. The Church in Mosley Street was built in 1878 as a Methodist Church. It was purchased by The Salvation Army 1947, when major structural work was under taken. The original design had the balcony running along the both sidewalls with doors opening into the upper rear worship hall. Also a large opening into a organ loft, which was filled in, where the Crest not hangs. The hall was closed again in 1978 for modernization, and again under went reconstructions of the Kitchen and toilets in 1999. In the past 65 years it has been a spiritual home for many at Burton and holds lots of memories and emotions. 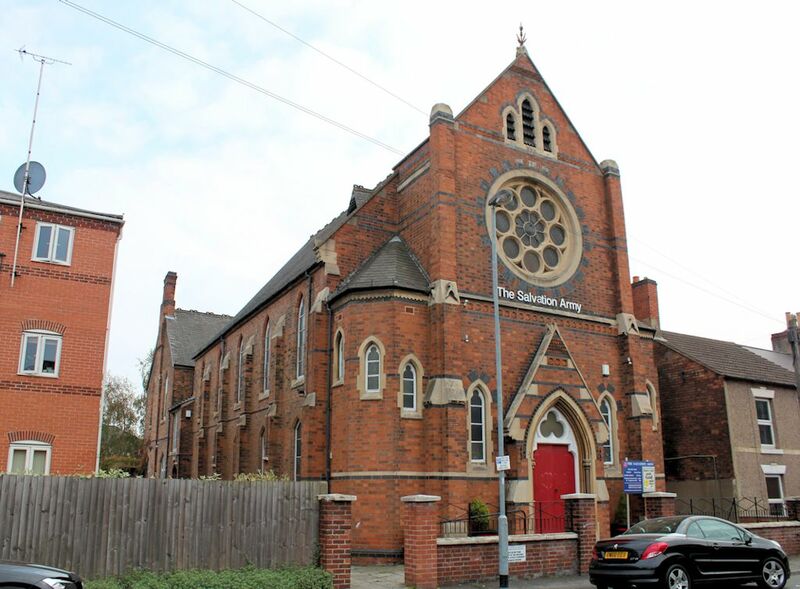 In October 2014 we are moving out of our Mosley Street Citadel and will be sharing the New Baptist Church in Derby Street.